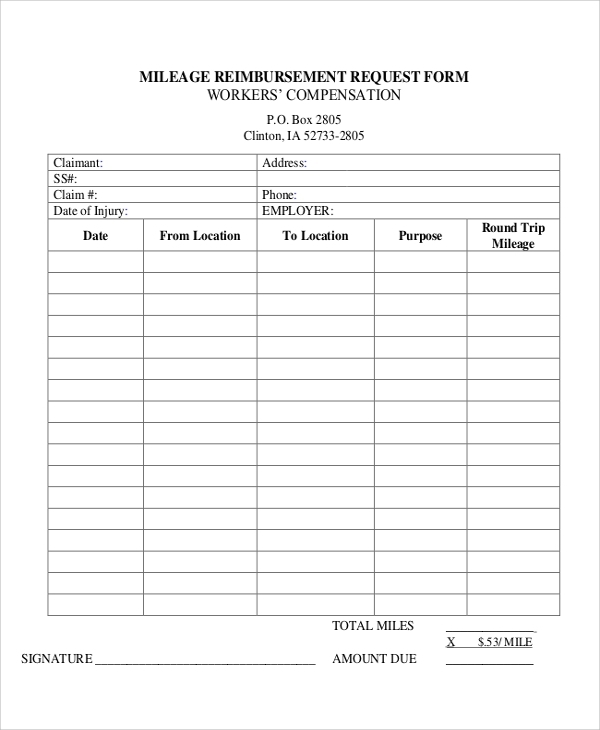 Mileage reimbursement form is used by employees of a company when they travel in their car for business purposes or gets injured due to an accident while working. The employee is required to log the miles they have traveled and submit the same to the employer for reimbursement. 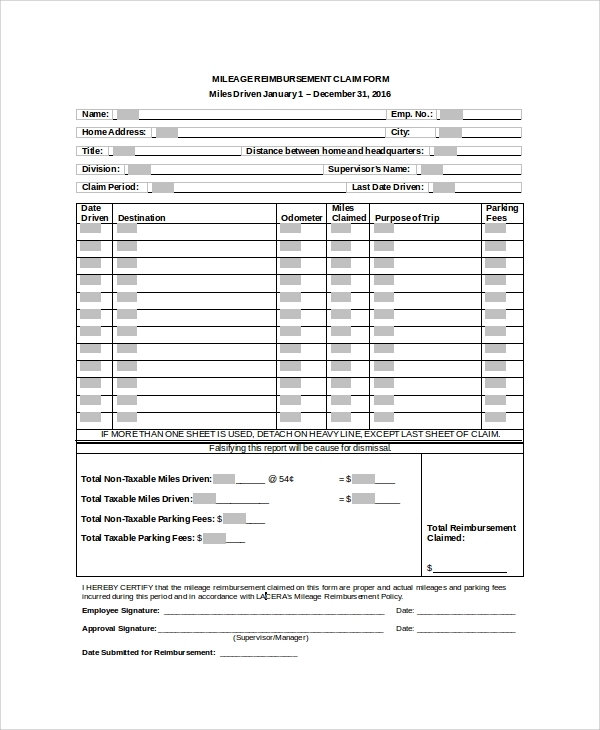 These Sample Forms for mileage reimbursement have been created to make it easier for the companies and the employees to track their miles and get reimbursement for the same. If a worker is injured while working, the employer is required to pay for the miles that the worker travels to visit a doctor and to purchase medications. 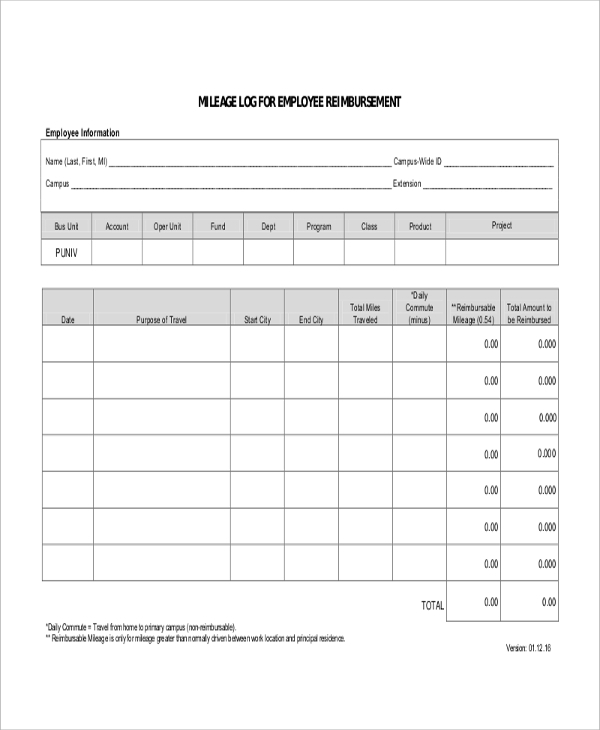 The worker can use this mileage log template to track the miles they have traveled and then submit the same at the end of the month to get reimbursed. 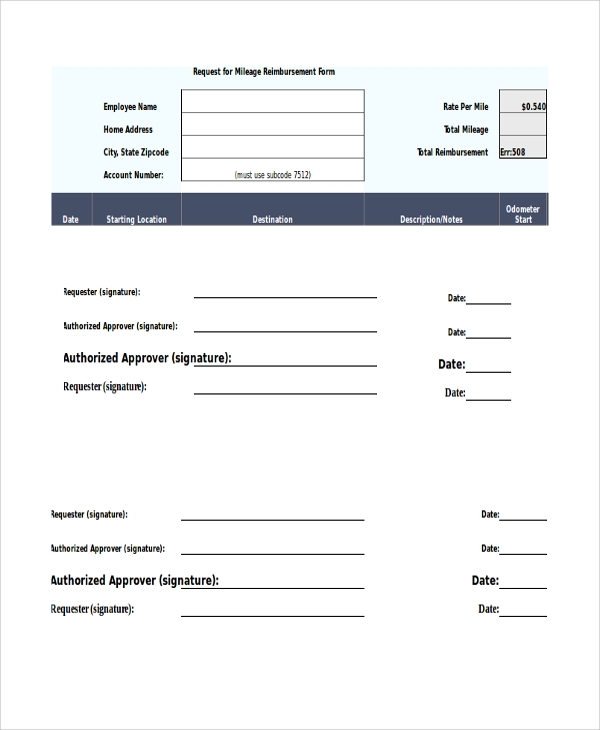 This mileage log and reimbursement form can be used by employees to log the miles they have traveled for business-related work. Date, starting location, destination, odometer reading, and reimbursement are the fields that are available in this sample to ensure that the employee and employer can easily track the mileage and the reimbursement amount. Apart from the miles traveled, many of the companies also pay for the meals, entertainment and other miscellaneous expenses of the employee when they are out for work, especially when they are in a senior position. 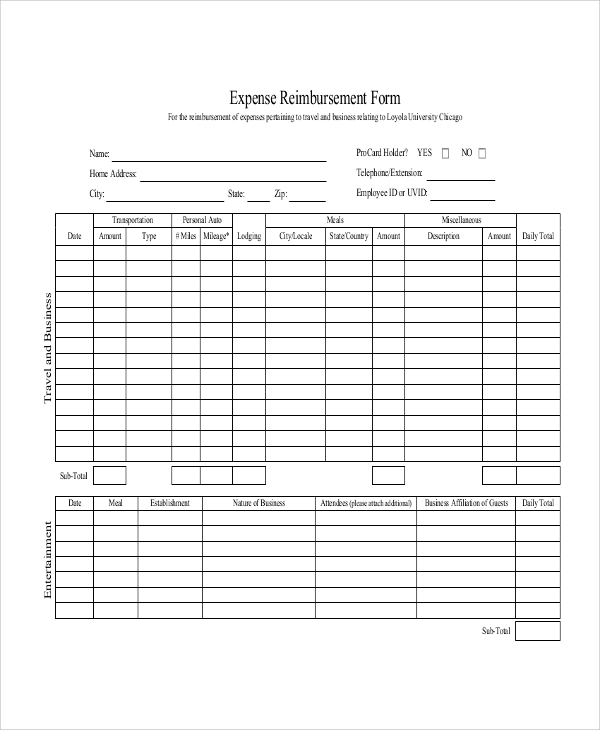 And this mileage expense reimbursement form allows the employees to track all the expenses accurately. It is crucial for the employees to properly track the miles they travel for work-related reasons to make sure that they are adequately reimbursed for the same. These samples ensure that the miles-tracking process is simple and the employee can provide detailed information about all of their travels to their employer. Select a sample, download it and start tracking the miles. You may also see the Mileage Tracker Samples. 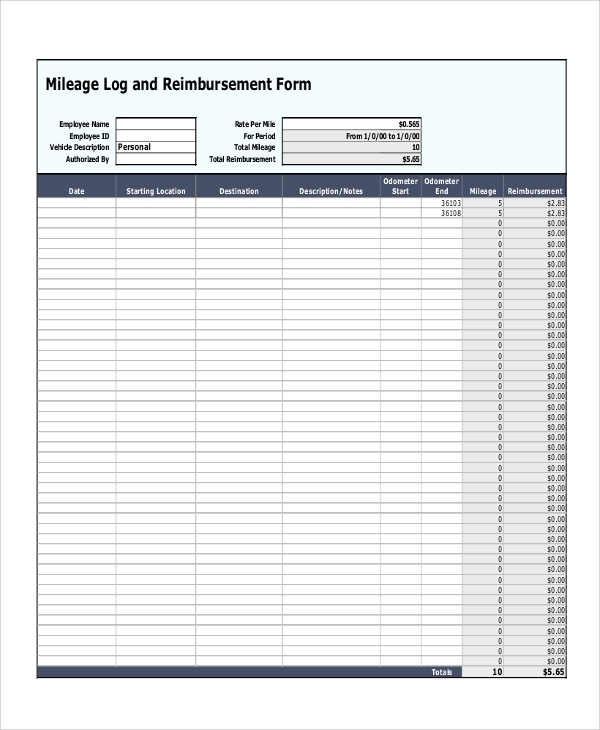 If you are looking for a simple and professional mileage reimbursement form, this mileage log form can be of great use. Name, date, the purpose of travel, miles traveled, destinations, etc. are included in this format to ensure that all the Unreimbursed Employee Expenses are properly tracked. 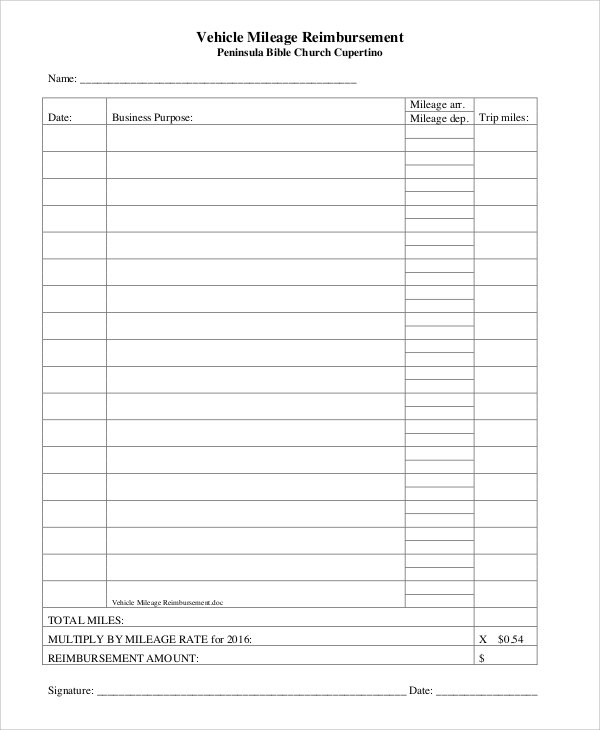 Be it a company, university, or a church, many different establishments can use this vehicle Mileage Reimbursement Form to track the miles they travel for work and get reimbursed for the same. The form is simple and easy to use. 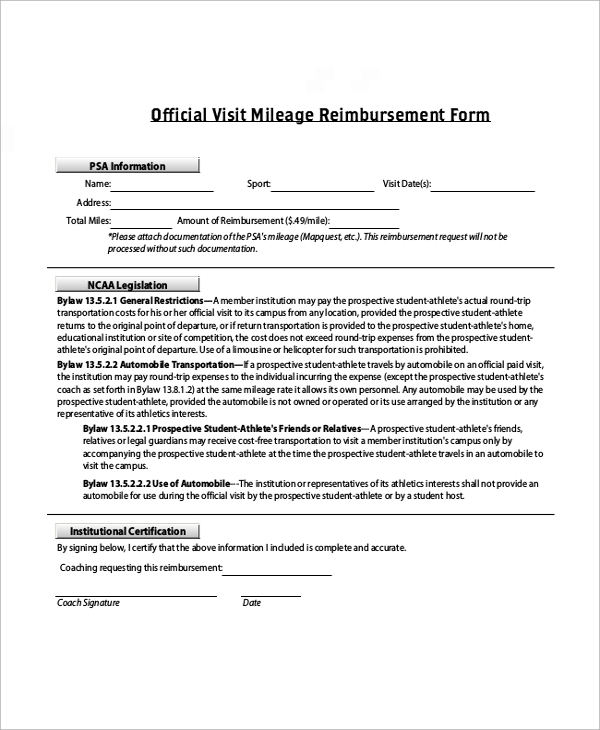 Why use a Mileage Reimbursement Form? 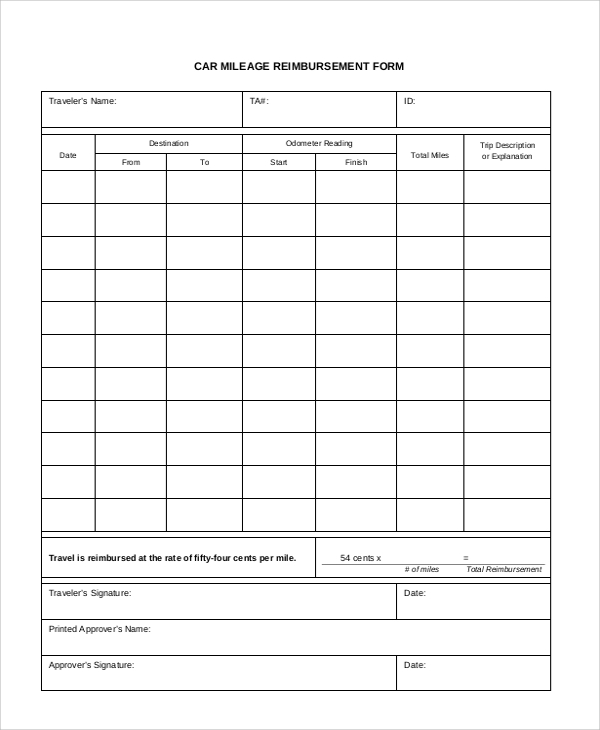 Employers require you to track the miles you travel in a professional manner and these sample forms allow you to do that. All the different forms include important aspects that a Mileage Log Sample should have to make it easier for the employees to track the miles they travel. 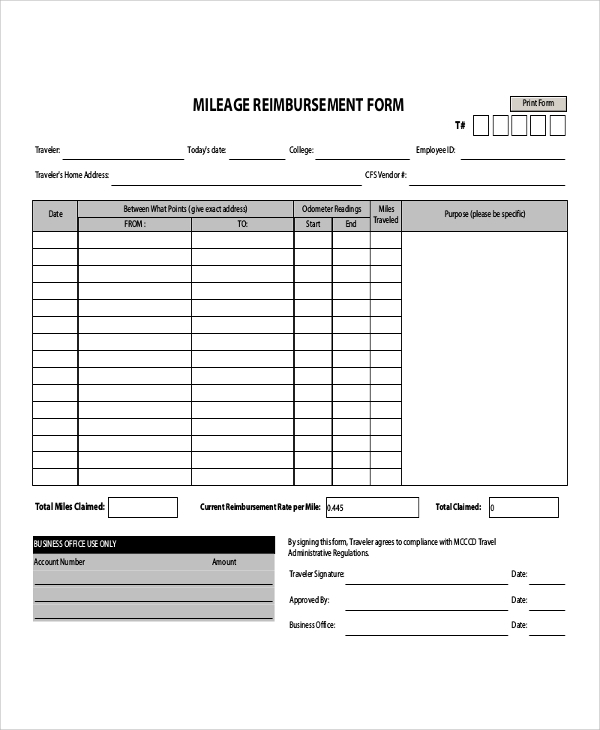 Can you Edit a Mileage Reimbursement Form? Of course, you can. Select a form and download it. After downloading, print the form, and you can make entries to it when you travel. Moreover, you can also edit the template easily before printing. Add parts to it or delete something that you don’t need. Everything is as simple as editing a Word file. Using Reimbursement Forms available here will allow an employee to exhibit professionalism and will also make it easier for them to track their miles. Moreover, even companies use these samples and distribute the same among its employees to ensure that the mile-tracking and reimbursement is handled in a smooth and efficient manner.